Located in the small, middle Tennessee town of Decherd is Decherd Needleworks. Don't let the unassuming exterior and simple, yet straight-forward signage mislead you. 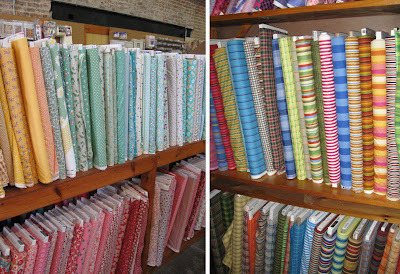 This quilt shop is home to a glorious selection of quilting fabrics from 20s, 30s, civil war and other reproductions to bright prints, novelties, holiday prints and contemporary staples like batiks, Kaffe Fassett and a colorful collection of stripes and plaids... all at very economical prices. 20s and 30s prints, stripes and plaids. 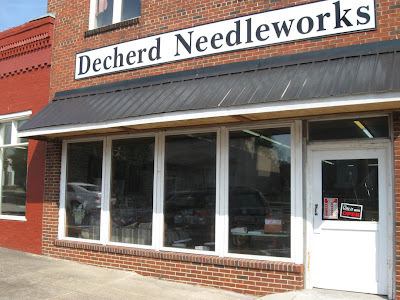 With its exposed brick walls, Decherd Needleworks has the charm of an old time mercantile. 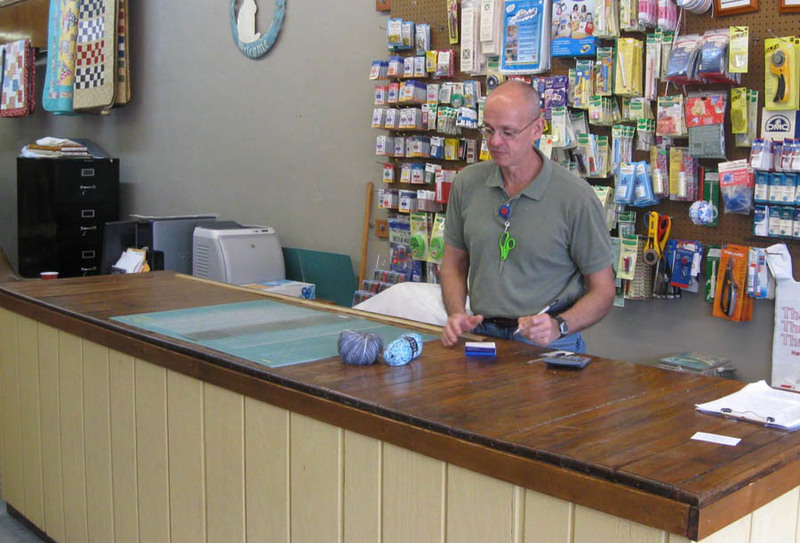 Here is Jim Warf, the owner, at the check-out and cutting counter. 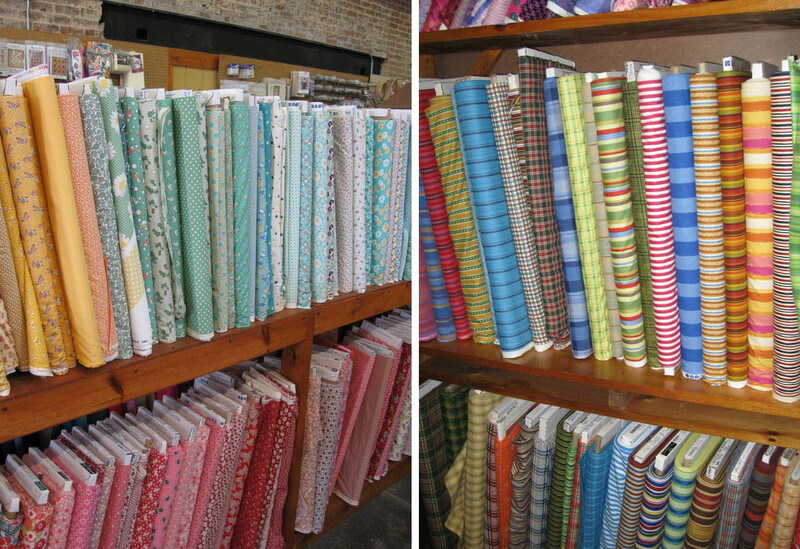 A wall of quilting and sewing notions is behind him. 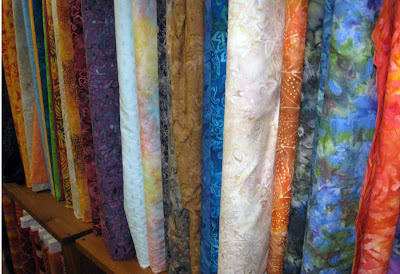 Jim also offers machine quilting services on his computerized Gammill long arm and says he's quilted over 600 quilts so far. Jim Warf at the cutting counter. Casually stroll the aisles of fabrics in the calm, tranquil atmosphere. 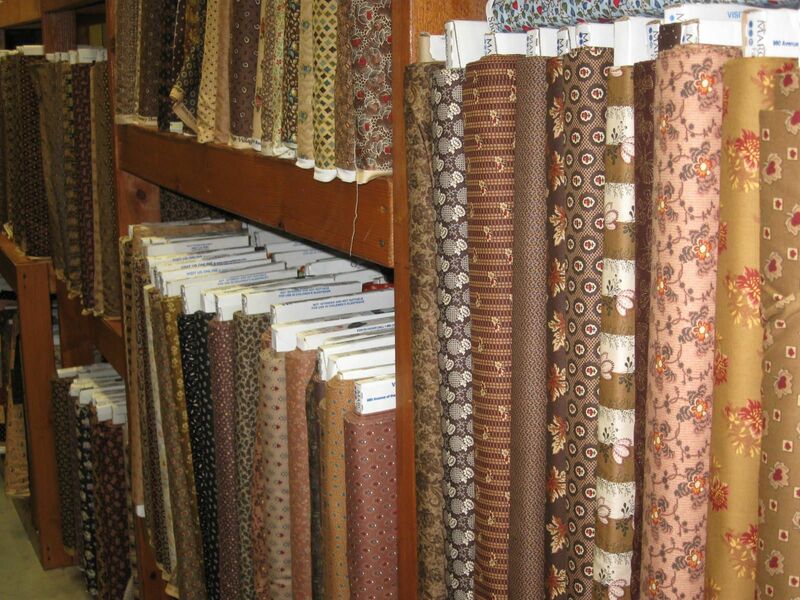 An amazing selection of reproduction fabrics. Wander through the archway, past the tables of fat quarters into the large, open classroom that spans the length of the building. Jim hosts sit-and-sews as well as classes and says groups of traveling quilters often reserve the classroom space for a day at this destination shop. 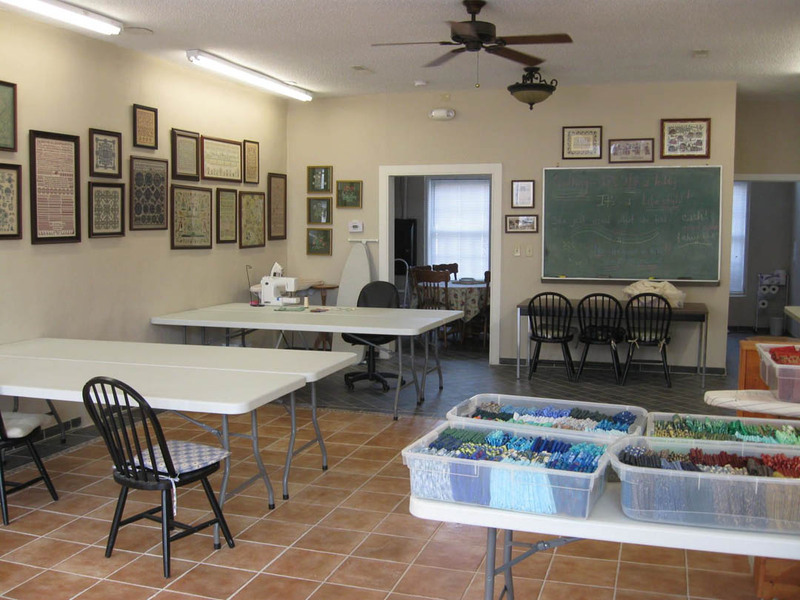 Quilters bring their machines, shop and work on projects while a local restaurant caters box lunches so you don't have to wait for a big table and quilting can continue uninterrupted! How wonderful is that?? Classroom with boxes of color-themed fat quarters. Adding to the quaint ambiance of the shop are framed needlework samplers that hang along one side of the classroom. 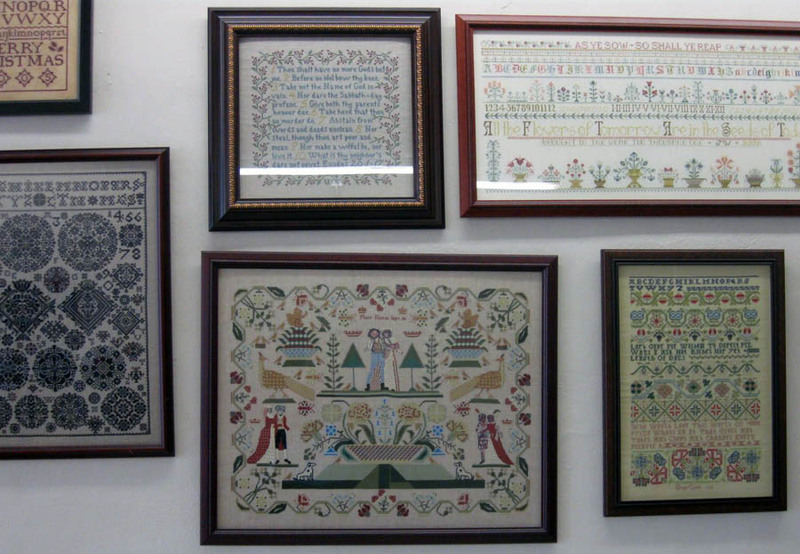 Framed needlework samplers hang on the classroom wall. 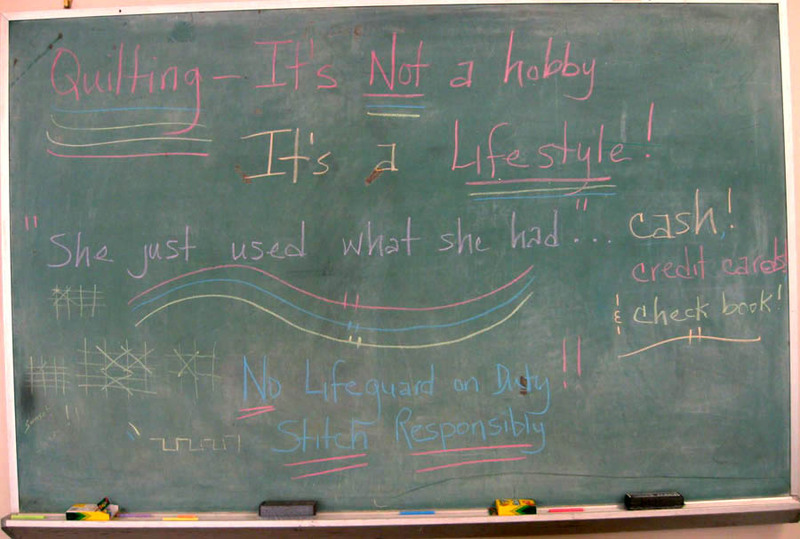 The note on the classroom chalkboard sums it all up, "Quilting—it's not a hobby, it's a lifestyle!" 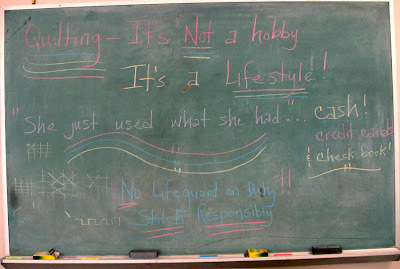 "Quilting—it's not a hobby, it's a lifestyle!" 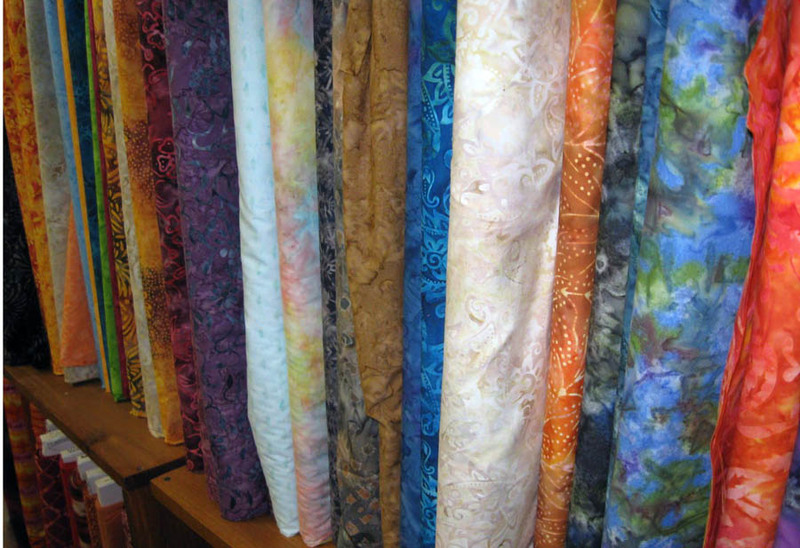 So, if quilting and fabric is a big part of your lifestyle, get a group of your quilting friends together for a road trip to Decherd Needleworks. It's about 1 hour and 20 minutes northwest of Chattanooga, TN (and you will gain an hour on the way up). Make a day of it and get lunch delivered. Contact Jim at (931) 968-0808 to reserve the classroom and he'll let you know what's the tastiest item on the local lunch menu. We are all going to benefit from your new job in so many ways! Loved the article on the shop in Deschard. 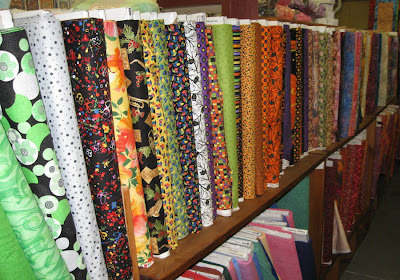 I may just talk some of the quilting buds into a road trip there. 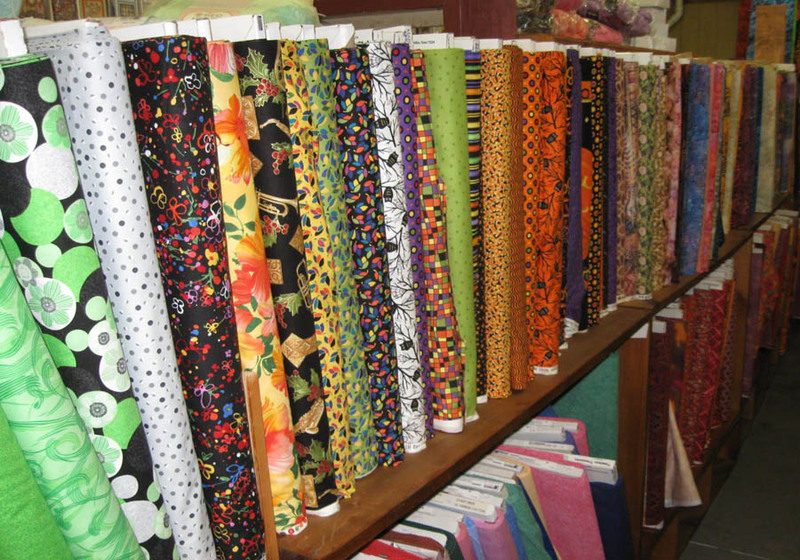 Thanks for relating the charm and individuality of Tennessee's quilt shops with your readers. I hope they are receptive to your Blank line. Can't wait to see some samples. Oh, yes! Take a road trip to these shops. They and wonderful and the owners have all been delightful. Support the small businesses.